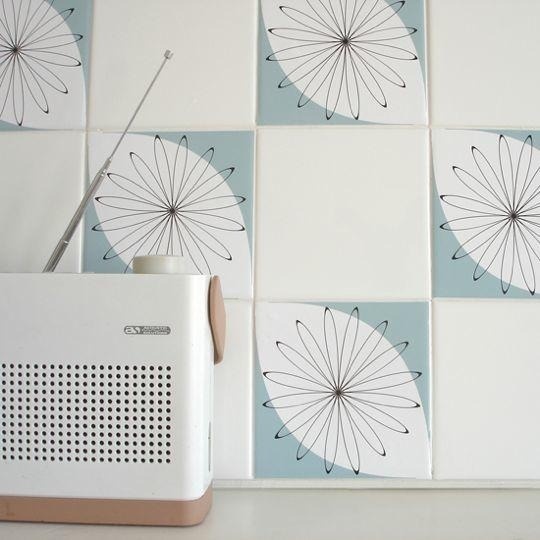 God, bless the one who invented tile stickers! 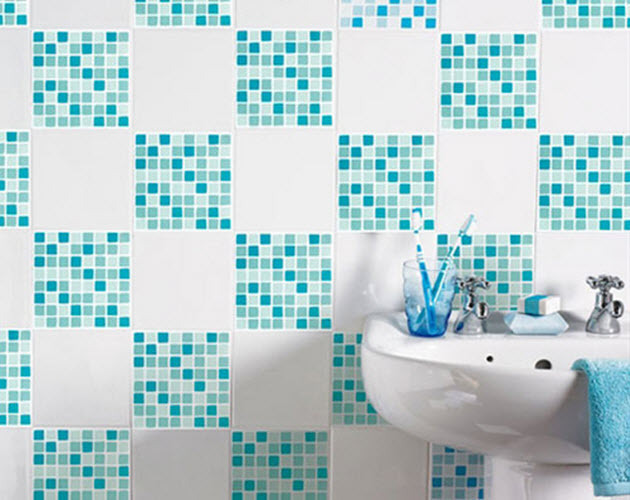 It’s a wonderful way to transform bathroom without spending much of your money and energy. Say, you want to change your bathroom but don’t want or don’t have the opportunity to remodel. 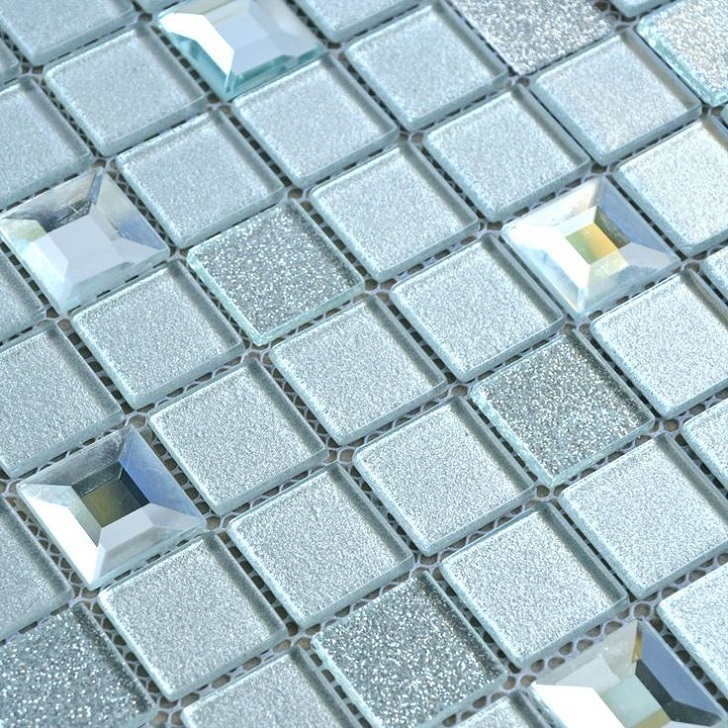 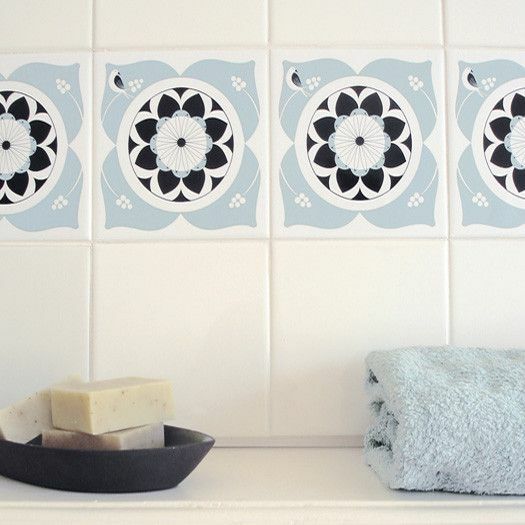 Tile stickers are an excellent way to change the whole atmosphere in your bathroom without much effort. 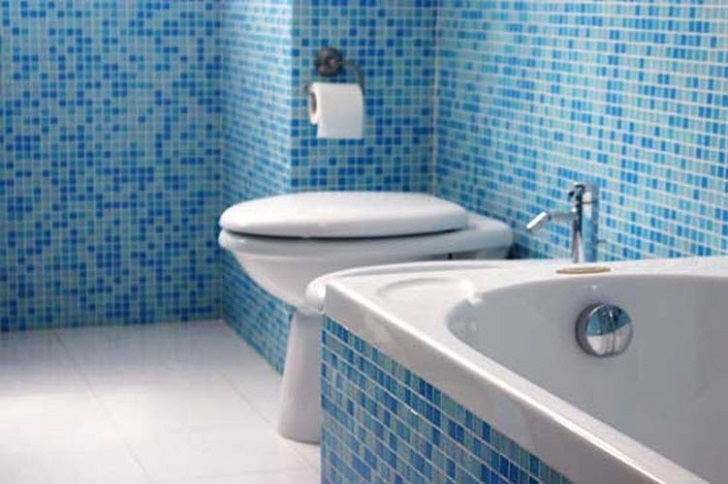 Or it is a real savior if you live in a rented apartment and are not allowed to remodel. 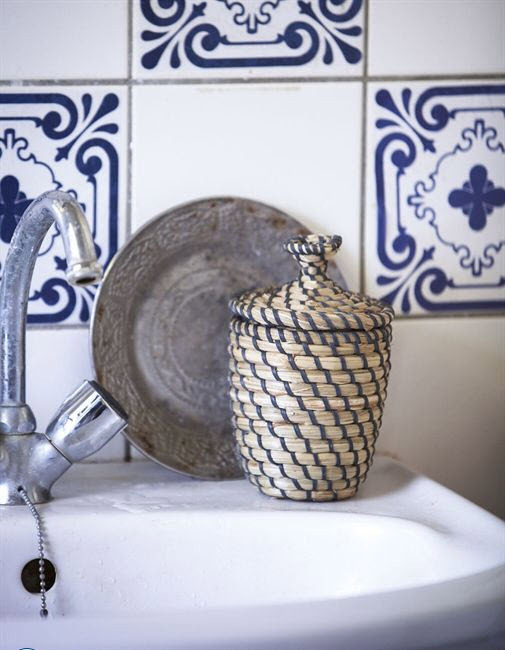 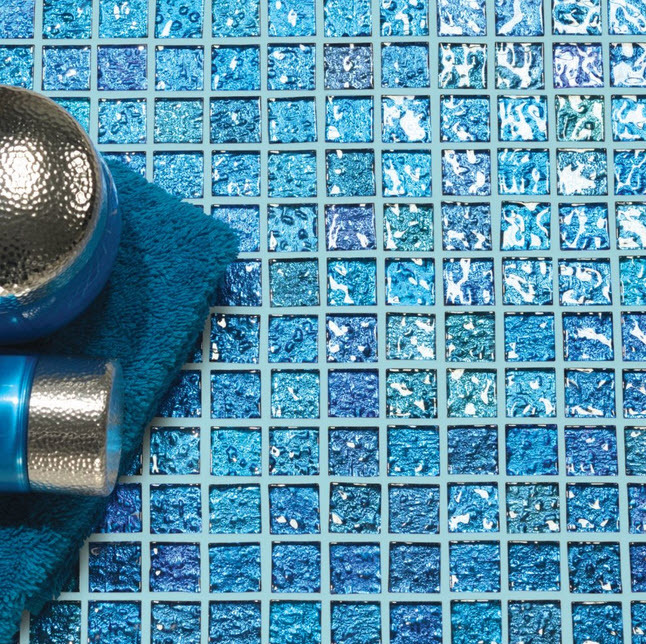 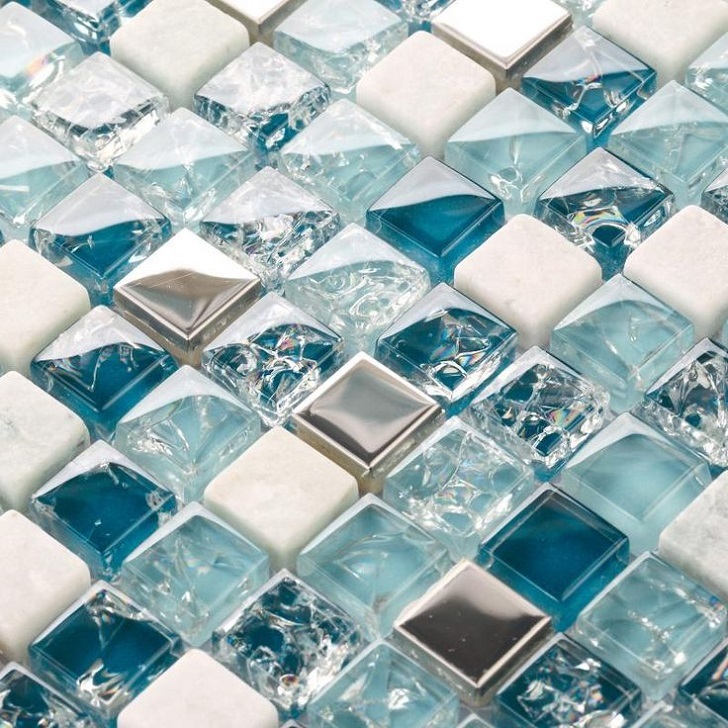 Blue is the perfect color for bathroom as it reminds of water, waves and sea. 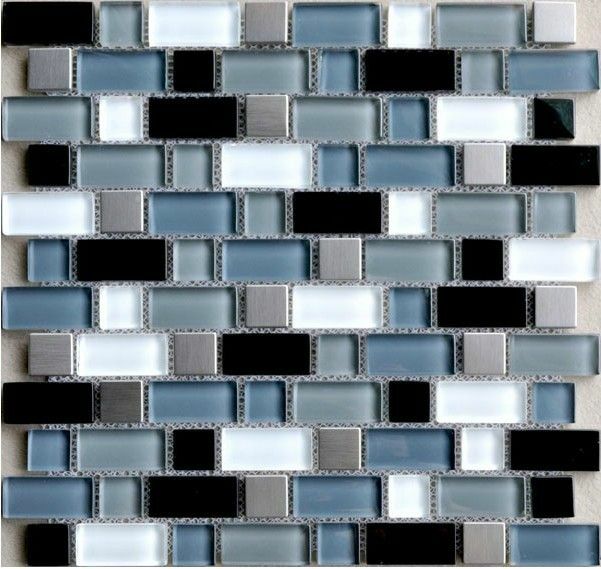 There are dozens of shades of blue that you can choose from: dark and light, with design and without it, intense and pastel-like. 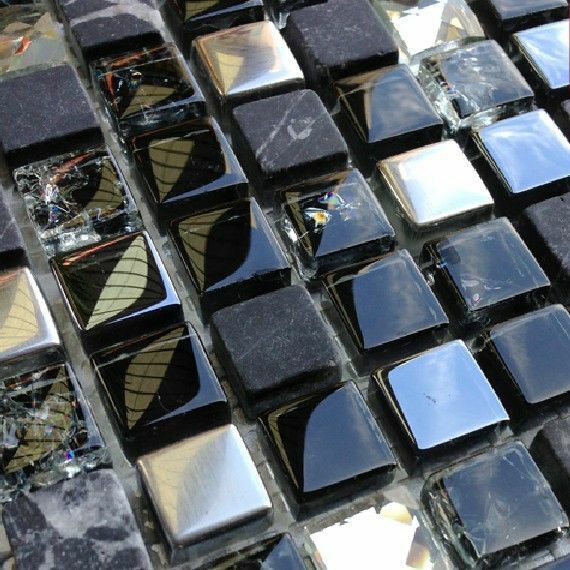 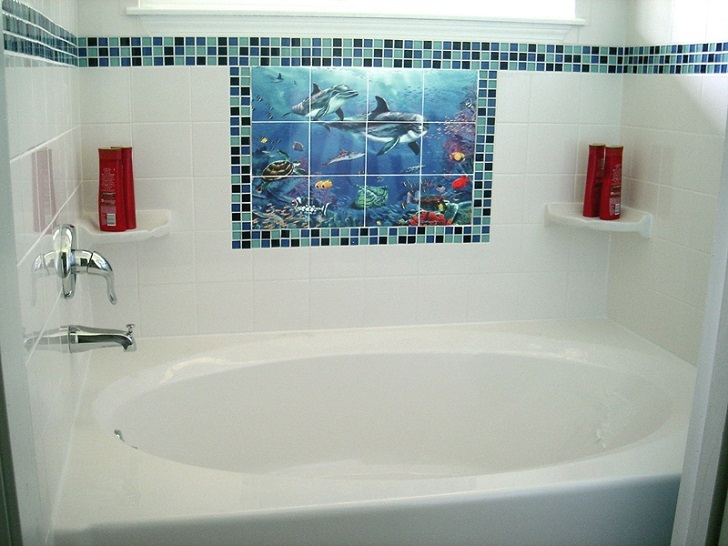 Besides, tile stickers add a lot of opportunities to experiment with different designs and motives on the walls of your bathroom. 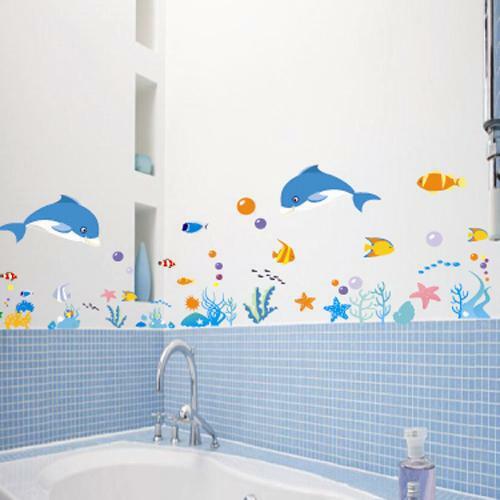 Anyway, this is one of the best ways to decorate bathroom without effort. 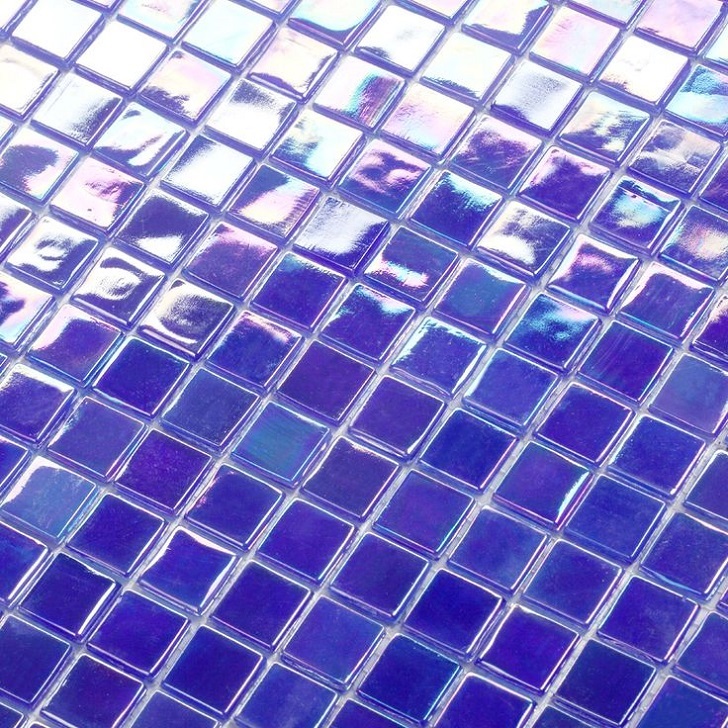 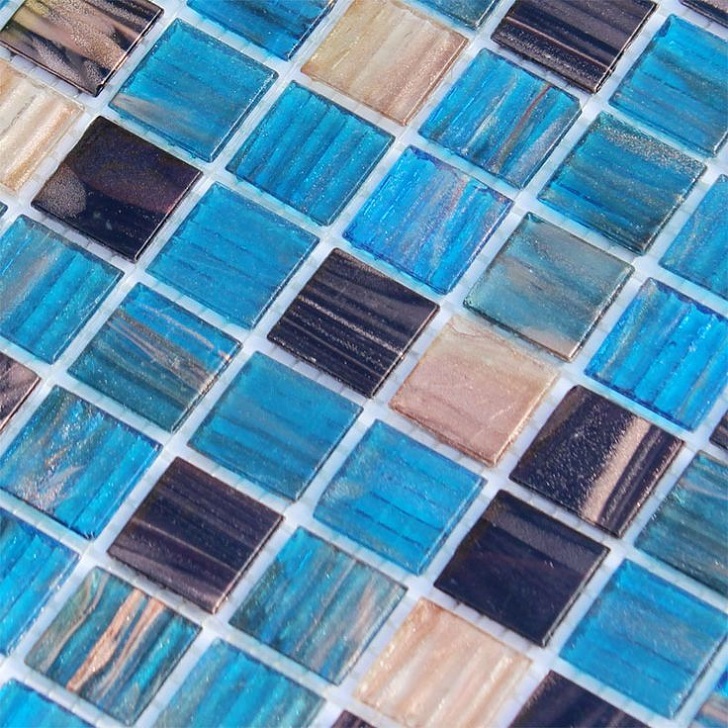 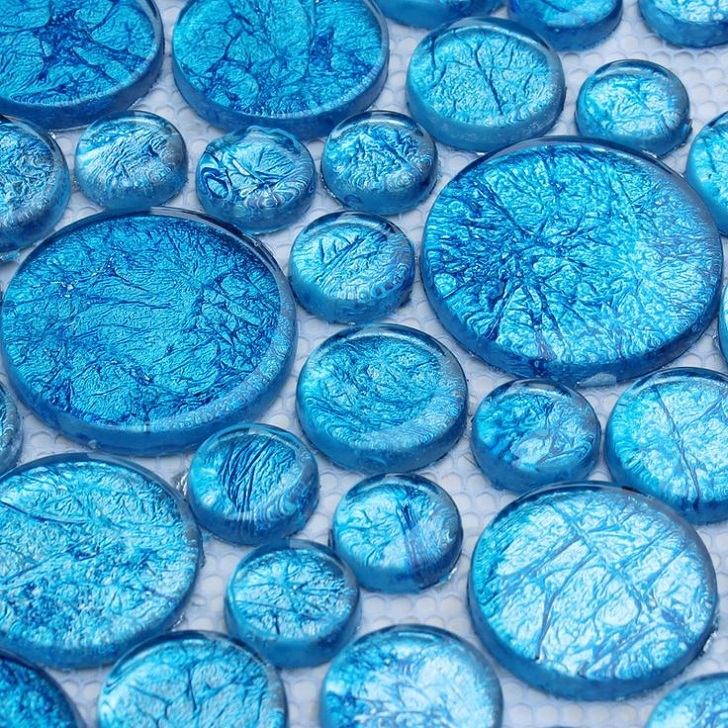 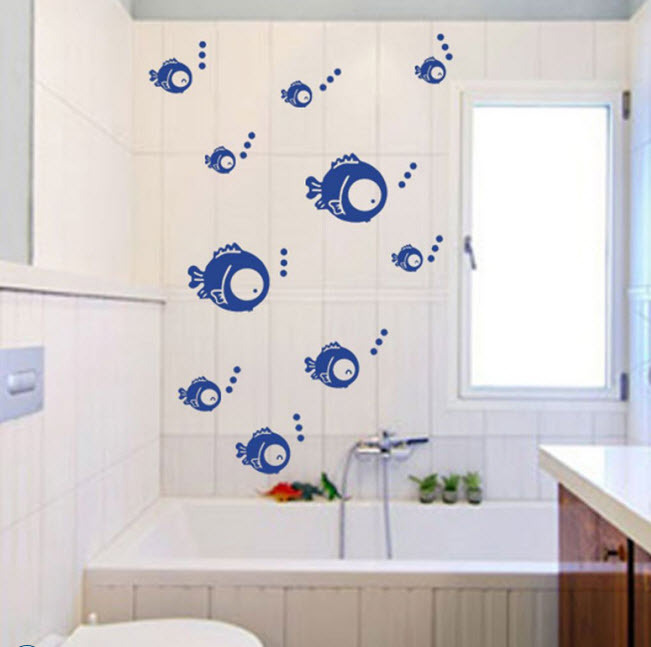 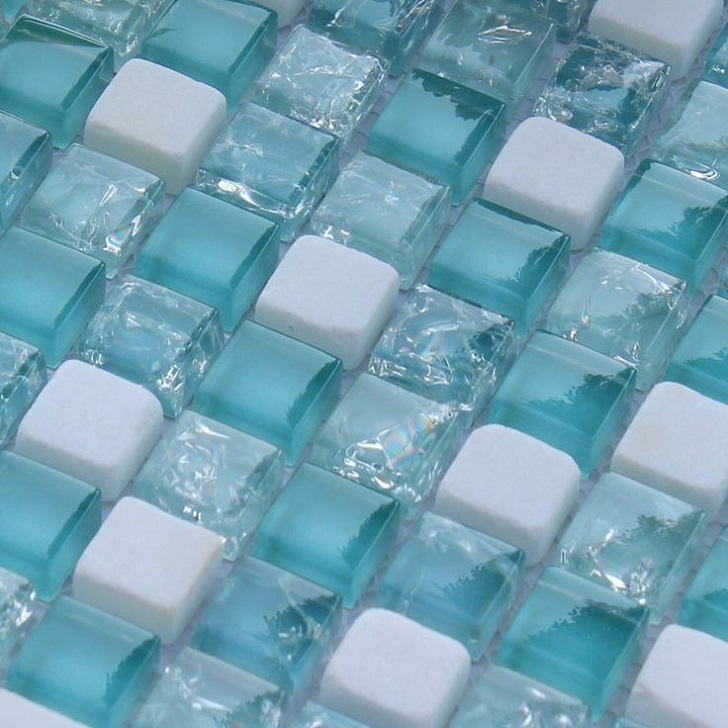 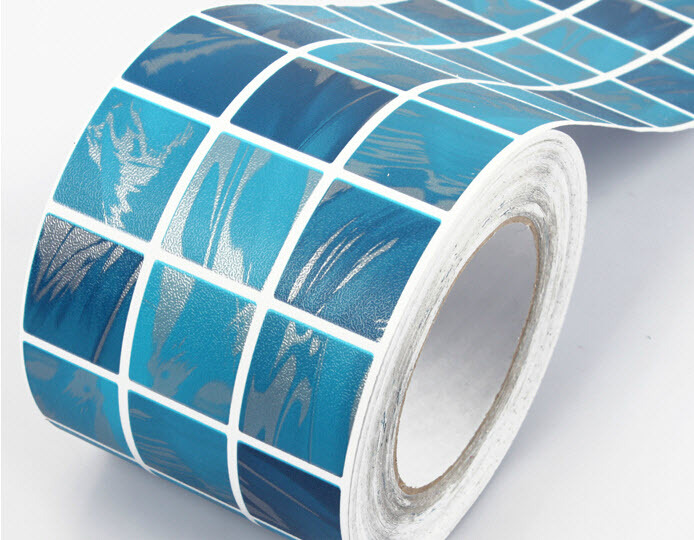 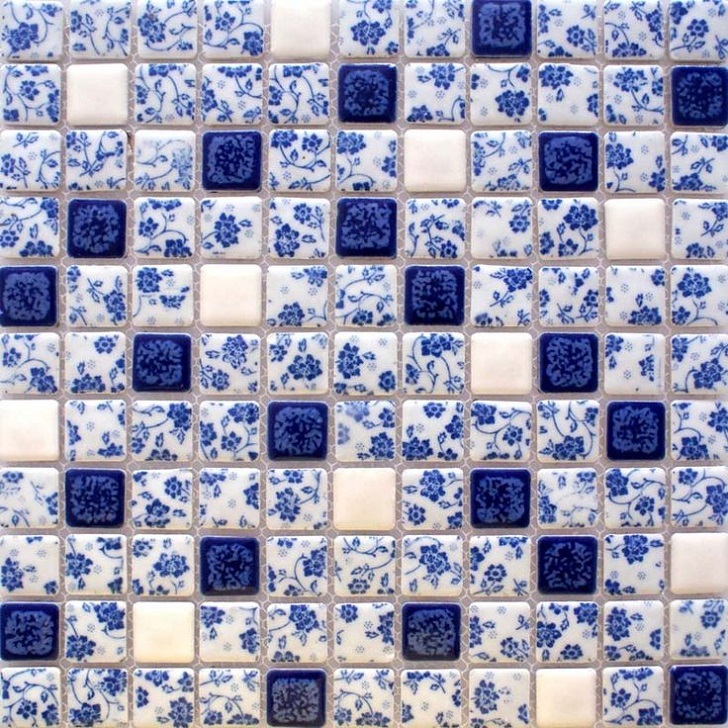 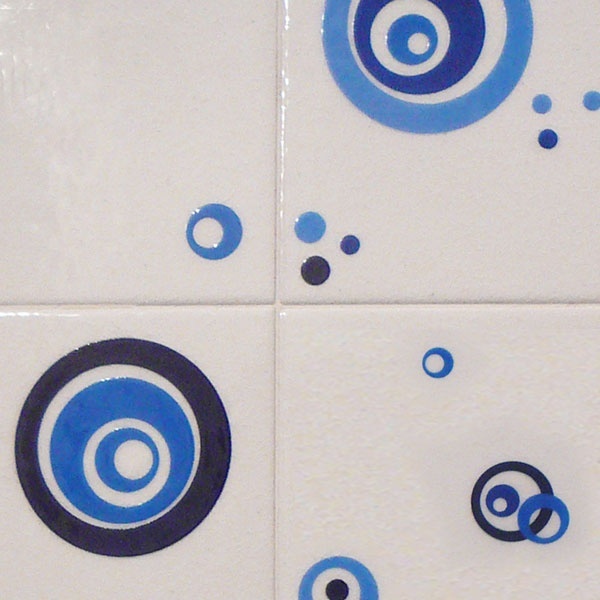 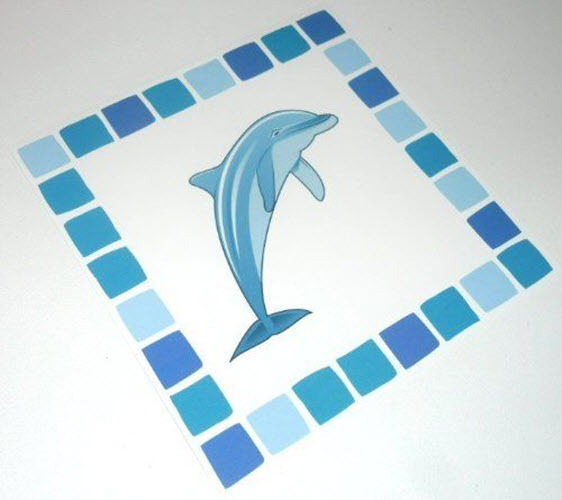 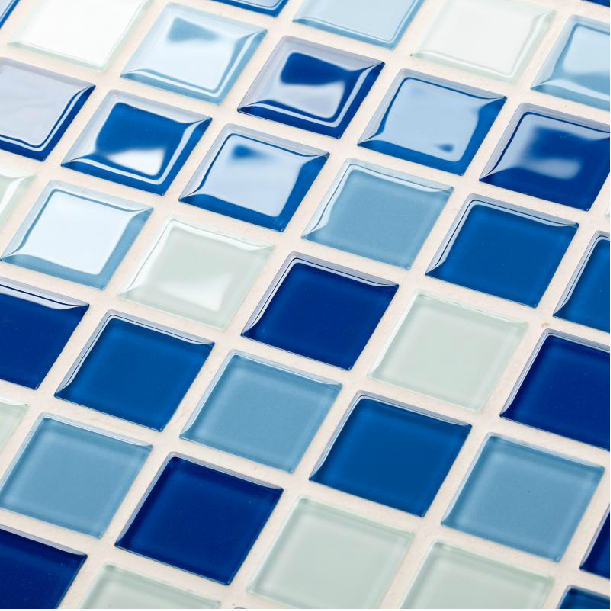 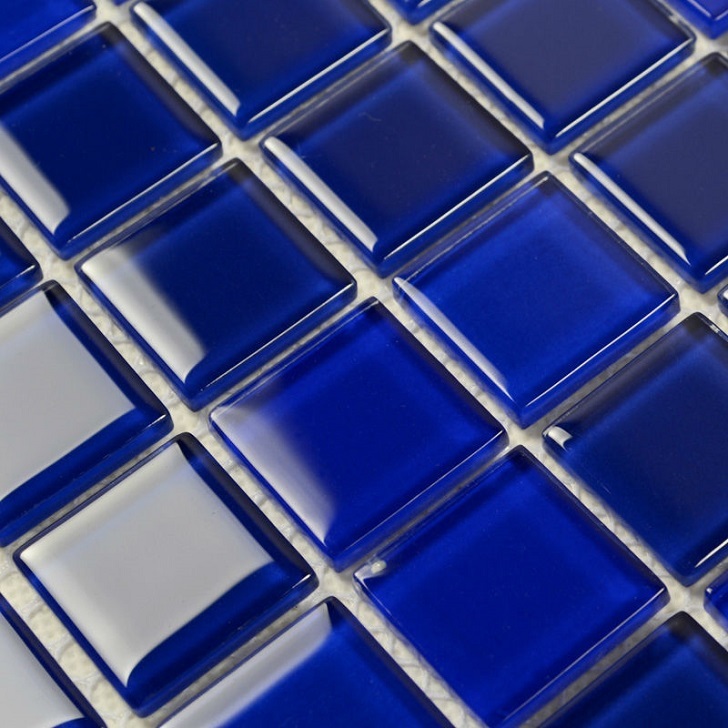 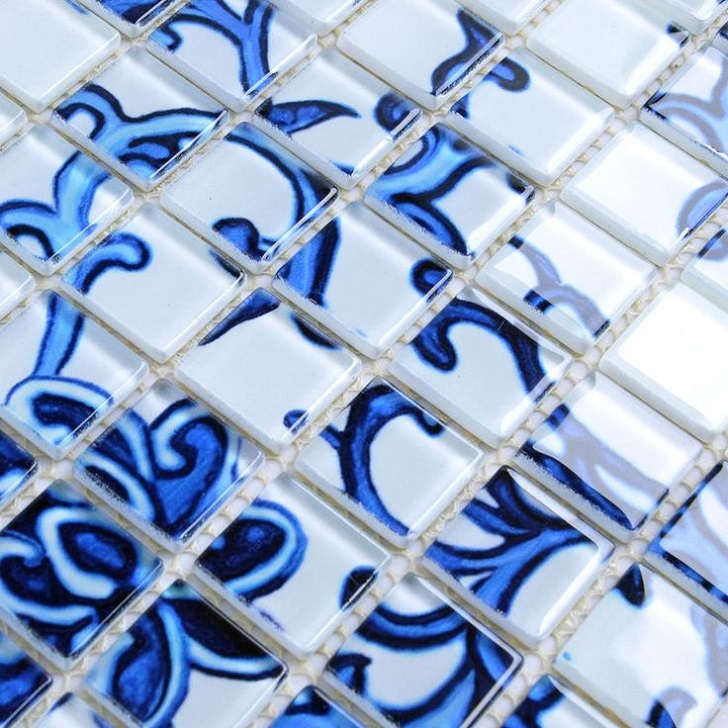 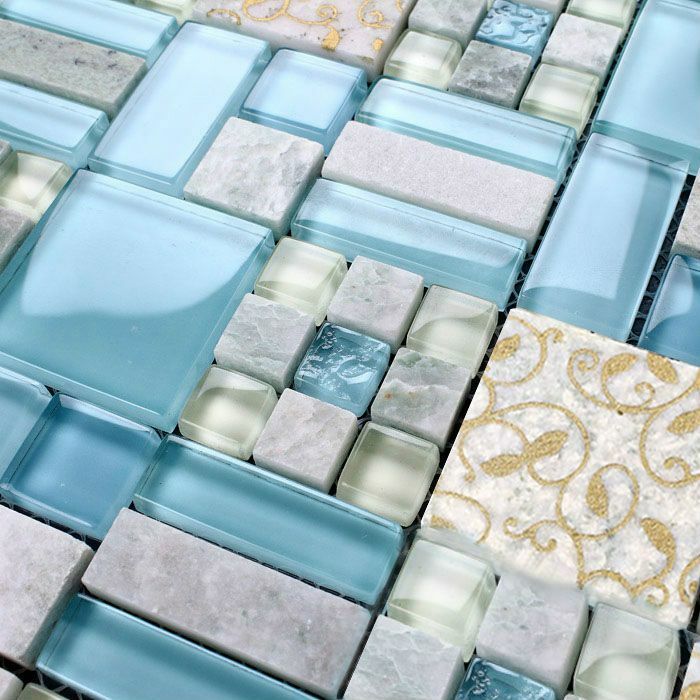 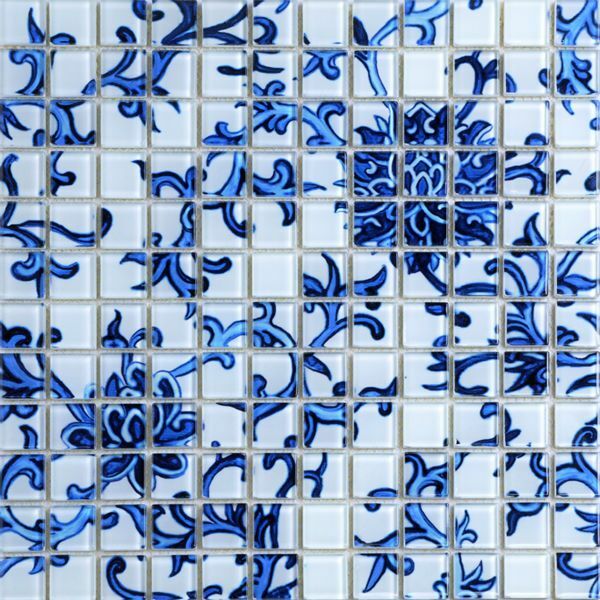 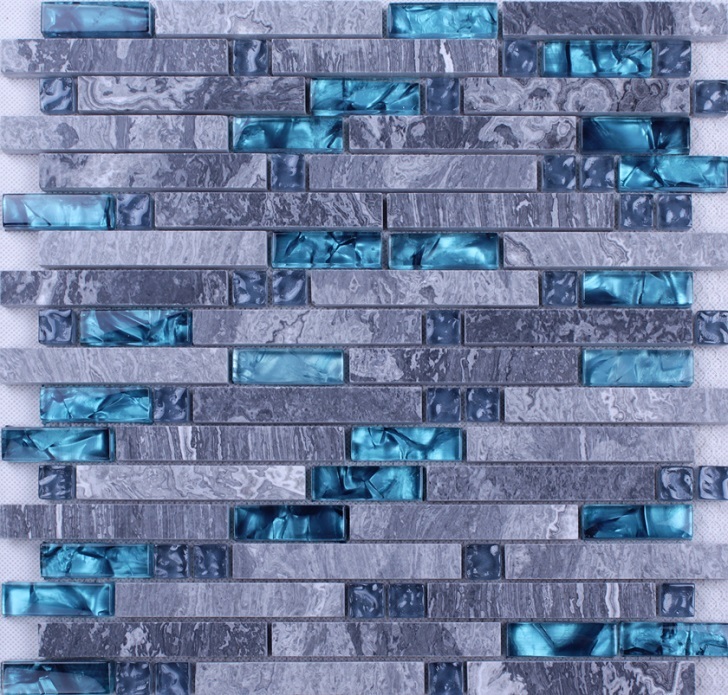 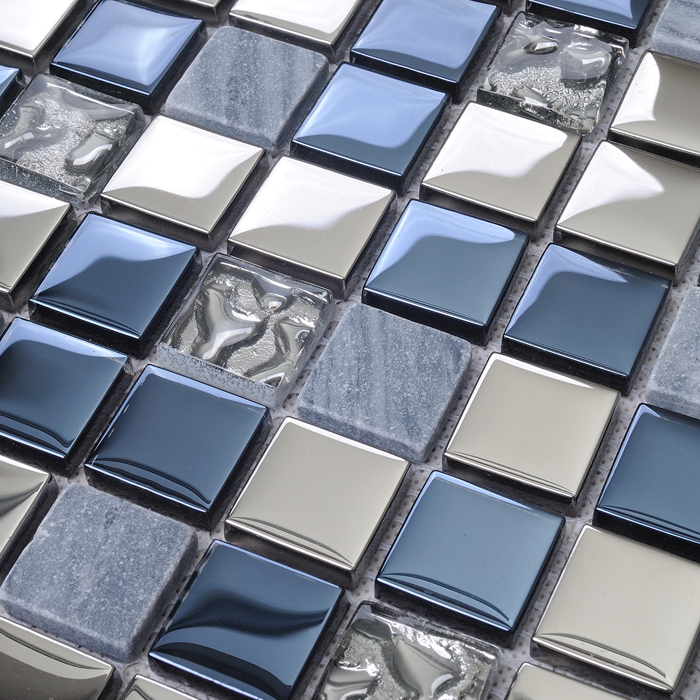 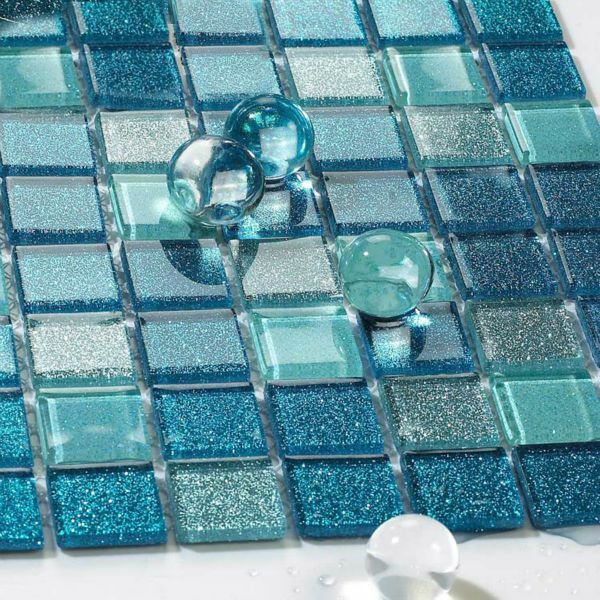 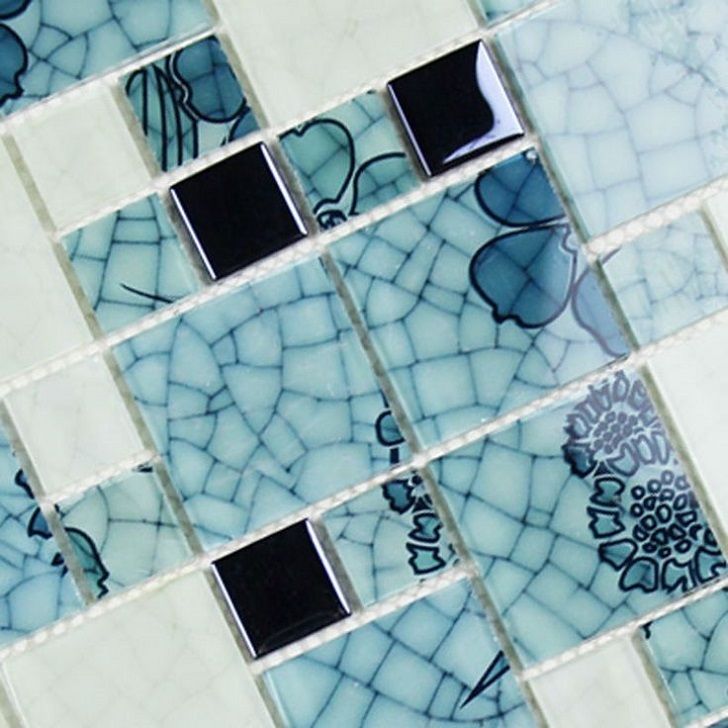 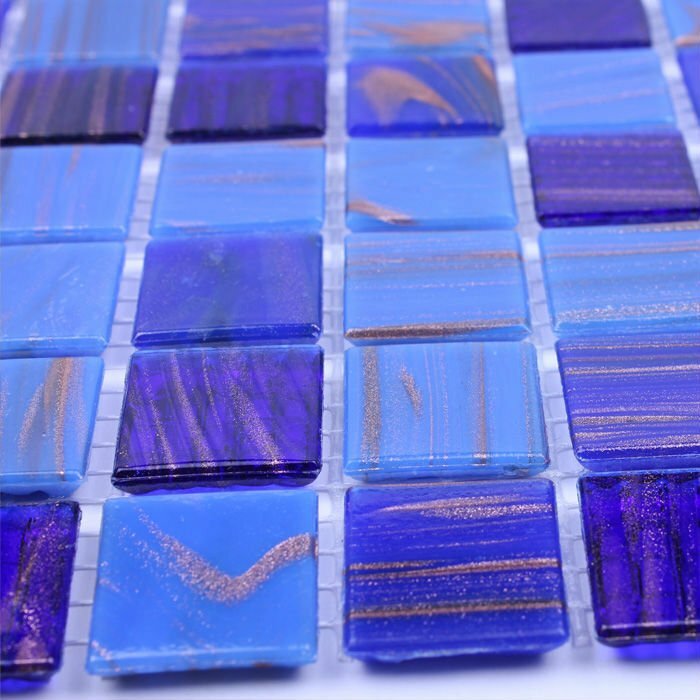 Blue bathroom tile stickers will help you transform your living space at a stroke and keep it fresh, new and beautiful. 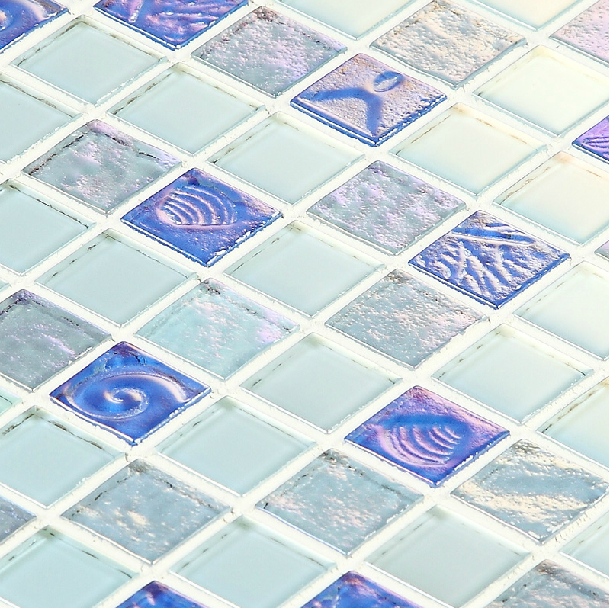 Look at some of the ideas below to get inspired.